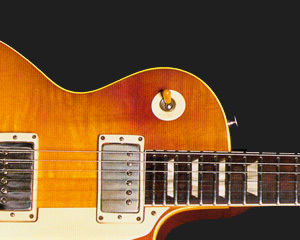 Today’s blog article is just about some little detail you might have noticed on Mark Knopfler’s vintage Les Pauls. I wrote a blog post about the fading red dye on old Les Pauls some time ago, so it is something like common knowledge that the old Les Pauls from the late 50ies came in a colour called cherry sunburst and the red faded when exposed to sunlight, resulting in a lot of colour variations with names like honey burst, tea burst, or “unburst”. 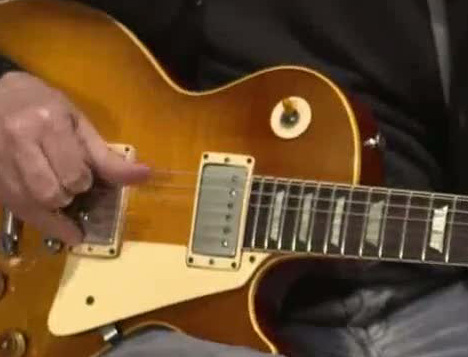 But maybe you have asked yourself why many old Les Pauls – like Mark’s 1958 – have more red left at a particular place , near the pickup selector toggle switch? 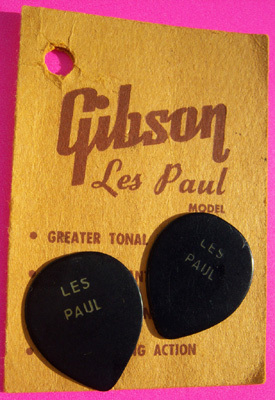 The reason was the hang tag – a little piece of cardboard listing some features of the Les Paul that was attached to the toggle switch on new guitars. 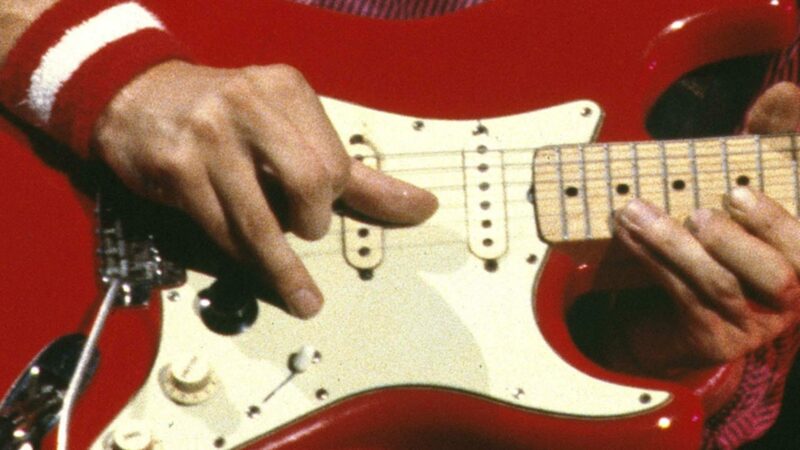 When the guitar was in a shop window or at some other place where it was exposed to sunlight, the hang tag caused a shadow that preserved the red dye under it. 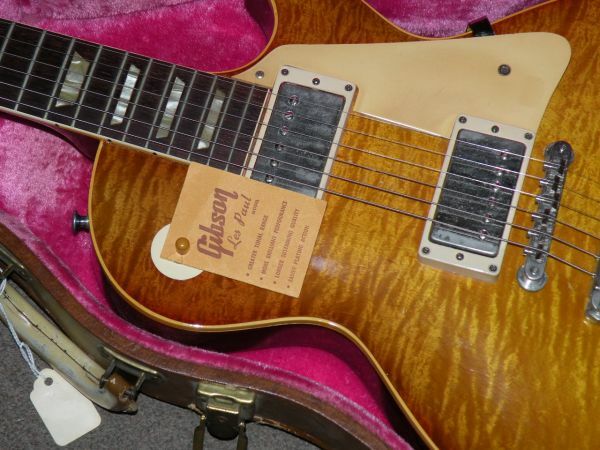 On some Les Pauls you can see exactly one position of this hang tag, on others you might have several shadows due to varying angles of the hang tag. Ingo, your level of analysis and commitment to research is unnerving, I hope you see a psychiatrist (if you feel the need)! Never knew about this. Pretty interesting read. Keep it up Ingo!